Academics have announced their plans to examine suicide risk in men, as well as the ways to reduce it. Suicide was the lead cause of death in men under the age of 50 in Scotland last year, and men made up over three-quarters of the total 728 people who took their own lives. The Scottish Association for Mental Health (SAMH) is now funding a PhD scholarship at the University of Glasgow's Suicidal Behaviour Research Lab to examine the issue and see how the number of people committing suicide could be reduced. During the three-year PhD, academics will investigate the clinical, psychological and social factors that increase suicide risk in men, including the challenges and expectations men face, and how they could potentially tackle the problem. Professor Rory O'Connor, director of the Suicidal Behaviour Research Lab, will lead the research. He said: "We are incredibly excited to be working with SAMH on this ground-breaking research into male suicide in Scotland. "Despite the stark reality that suicide is the leading cause of death in men under 50, we still do not fully understand the complex set of factors that account for this harrowing reality. "Suicide devastates families up and down the country every day; we need to do more to prevent these tragedies." SAMH will provide the research with £75,000 over three years. The research is believed to be the most in-depth study of its kind in the UK. SAMH chief executive Billy Watson said: "We know men are particularly at risk, especially men in their middle-years. We need a deeper understanding of why some risk factors contribute to men completing suicide, compared with those, who, with the same risks factors don't. "We know that suicide devastates, and we hope that this research will provide a greater understanding to enhance our future work on suicide prevention. "Thanks to our supporters who raise funds for SAMH to allow us to fully fund this vital research." SAMH supporter Charlie Adam lost his father, also called Charlie, to suicide in 2012. The Scotland and Stoke City midfielder said: "It was a real blow to me losing my dad. It knocked me big time. 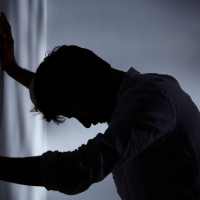 "It's great that this research will look to understand suicide risk in men. It's a subject that's close to my heart." Travelling with a pre-existing medical condition? We at World-First have you covered.